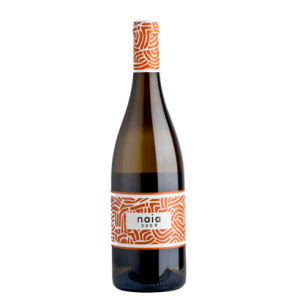 Bodegas Naia produces this 2018 Naia ($141.34), a white wine from the region of Rueda with the best verdejo grapes from the 2018 vintage and has an alcoholic content of 13%. 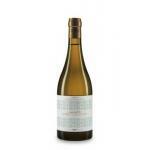 At Uvinum, this white wine scores an average rate of 4 of 5 points while experts give the following evaluation: robert parker: 90 and peñín: 91. 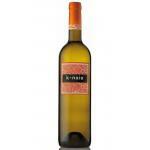 - Nose: hints of freshly cut grass and tropical fruits. - Mouth: fresh, fruity and very pleasant. 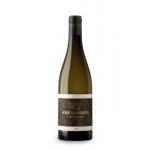 VINEYARD: Vineyard an area of ​​23.5 hectares, situated at an altitude of between 750 and 800 meters. AGEING: Maturing on lees in tanks and vats for 4 months. PREPARATION: Fermentation in stainless steel vats and two 10,000 liter French oak. 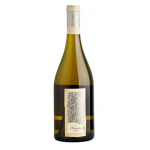 PAIRING: rice or pasta with cream sauces, dishes of medium intensity and washed rind cheeses, seafood and shellfish. Green apple, grapefruit, herbs, sharp, fresh. If you want to buy 2018 Naia, at Uvinum you will find the best prices for Rueda white wine. Get it at Uvinum, 100% safe, fast and easy. We offer your over 59.000 products for sale becoming this way the biggest company to sell wine, beer, and spirits online in Europe thanks to more than 38.000 customers who shop at Uvinum.